I took my two girls to Go Outdoors on Saturday. Go were celebrating their first birthday by having a bouncy castle, a kid friendly play area and a barbecue. The weather Gods were very good, it was warm and sunny with a lovely breeze. 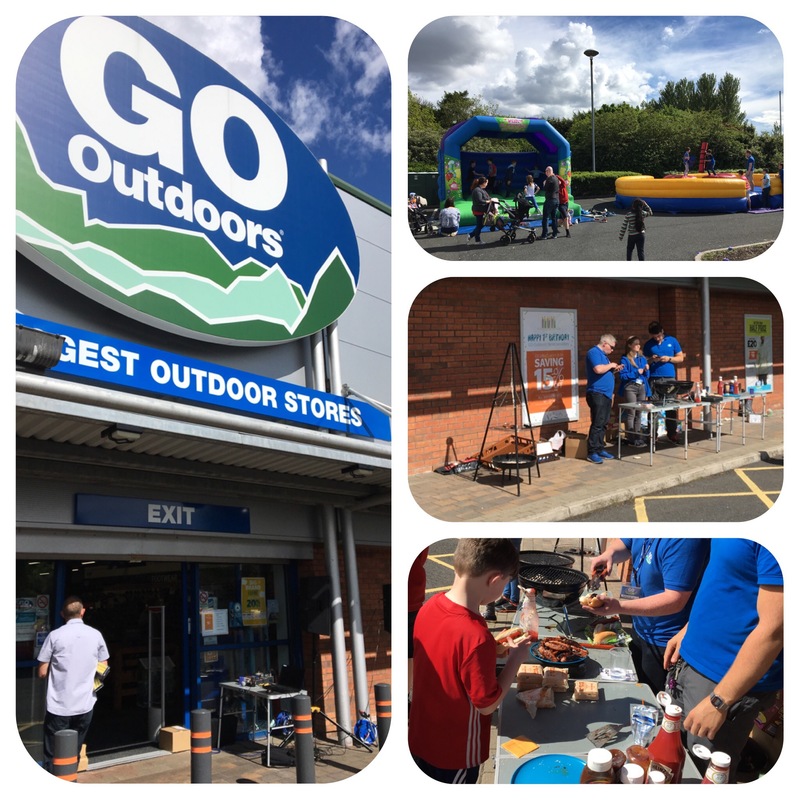 The kids had a ball and we all had tasty hot dogs and drinks, all cooked on Barbies, provided by Go Outdoors. They also ran some amazing offers-Go check them out!!! Great, great have an awesome day and enjoy with the kids, lovely pictures.